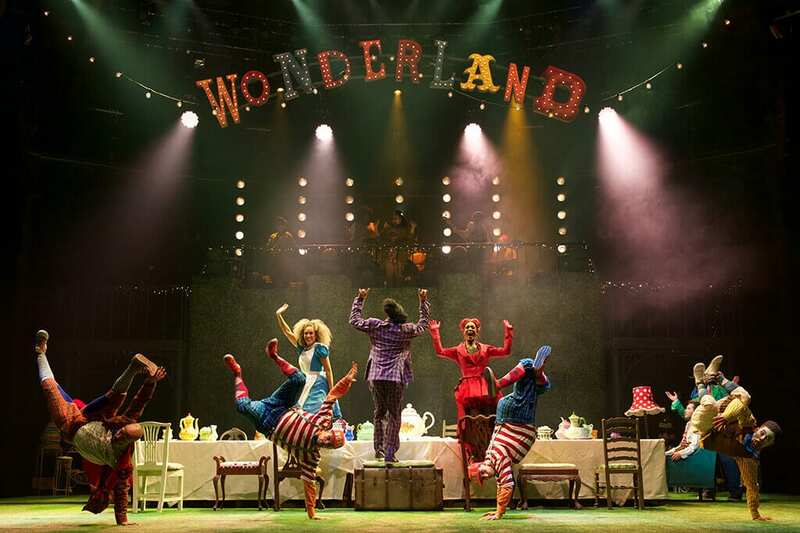 Commissioned by the Royal Ballet House, this production of The Mad Hatter’s Tea Party in the Roundhouse is the one party you wouldn’t want to miss. It has everything a good party should have: live music, a DJ, dancing, singing, drama, oversized teapots and lots more. 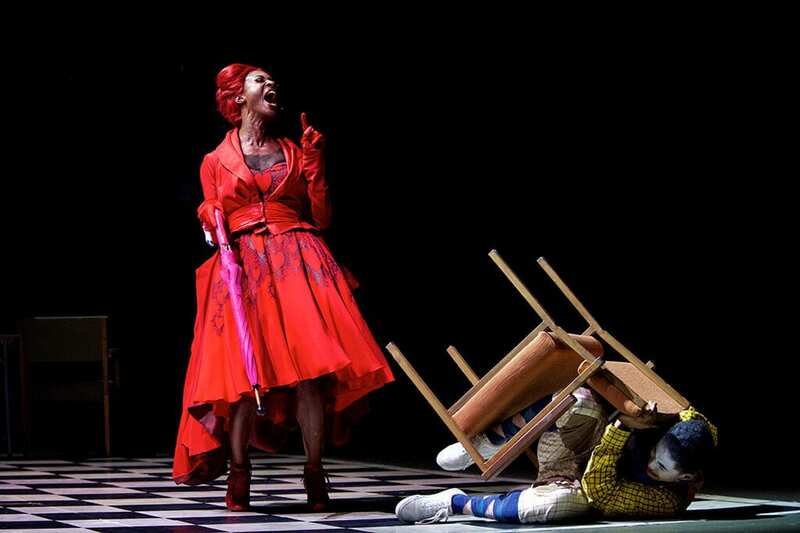 The musical is an intense adaptation of the well known story Alice’s Adventure in Wonderland. This is a wonderland where ‘nonsense makes more sense’ and where “there is no such thing as normal”. As the director, writer and lyricist, Kate Prince brings her interpretation of the the original story’s subtext to life. 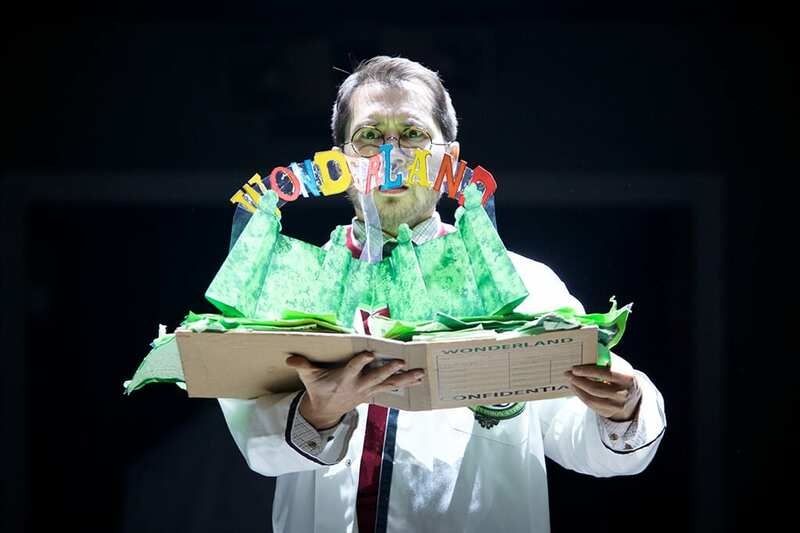 Some of the main characters from Lewis Carroll’s original tale are presented as hospitalized, mentally disturbed patients, looked after by a team of psychiatrists and nurses desperate on curing their insanity and “making” them ‘normal’ people. When a new therapist named Ernest, played by Tommy Franzen, joins the group of ‘normal’ and uptight doctors (the band), he puts the mental patients through therapy sessions. The ‘medical team’, placed on a raised platform, provides excellent live music to which ‘the patients’ dance with amazing agility. Each character is given the spotlight and through hip-hop dance choreographed and performed by the members of the original ZooNation Company, they each reveal their mental ailment and the cause of it. This is cleverly done as each illness mirrors the characteristics of each character in Alice ‘s Adventure in Wonderland, illnesses that are often shunned by society nowadays. The choreography of hip hop dance by ZooNation Dance Company and Kate Prince highlights the uniqueness of each mental patient and presents the illness from the patient’s perspective rather than society’s. The combination of the embodiment of the tale and the dancers’ impressively athletic abilities was hypnotizing. The musical aspect of the show, written by Josh Cohen and DJ Walde, includes a skilled band with excellent singers and a DJ, bringing a refreshing combination to modern theatre. The ideas of social acceptance and the importance of having a safe environment that allows one to be true to oneself are introduced without being didactical; a scene is presented to make a point and show its necessary consequences. This concept is a popular motif in many modern performances nowadays, however the delivery of the message is nothing like I’ve ever seen before. 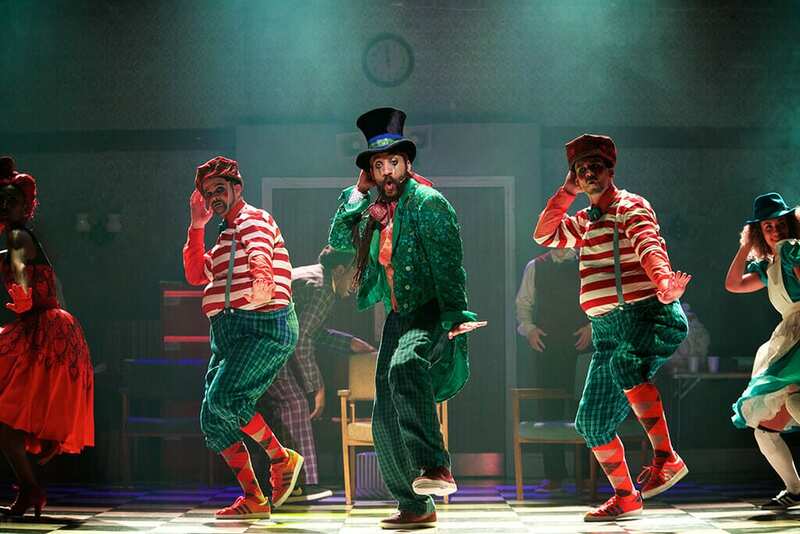 In the second act, there is a shift into a loose and colourful vibe thanks to Ben Stones’ magical set and costumes and Andy Murrell’s interactive lighting design, as they transform the Roundhouse stage into, what can only be described as ‘Wonderland’. All and all, this was a well-rounded performance that creates an exuberant experience. Lights creating a disco feel, live music and excellent dance by all performers give this night out a feeling of excitement and enjoyment for teenagers as well as for all other age groups. And although the topic of the opera is mature, its liveliness is suitable for all ages. 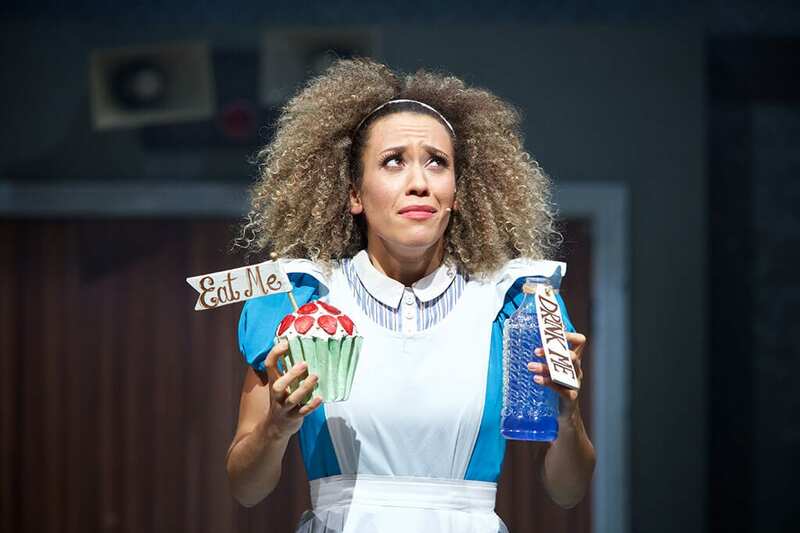 If there is one thing that one can learn from this production of The Mad Hatter’s Tea Party, it is that sometimes being insane is the only way to stay sane. A wonderful night out, go and see it if you can.